If you’ve ever wanted to try watercolors, but were maybe a bit intimidated, we have the class for you! Fear not! Discovery workshops are just for true beginners. 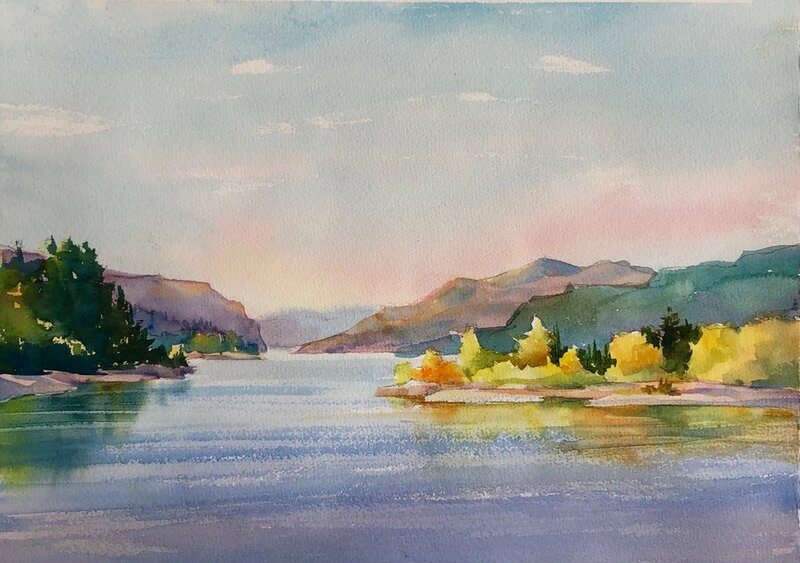 If watercolor painting is brand new to you, and you’ve been wanting check it out but were maybe just a little shy to dive in, here’s the perfect place to give it a try. In a cheerful, encouraging, non-intimidating environment, you’ll paint along step-by-step with this experienced (really fun!) instructor. You will be able to play around with watercolors and you’ll get familiar with how they work, how to mix in water in the right proportions to get gorgeous color, how to do a “wash” and create a beautiful watercolor painting of your very own! NOTE: You can purchase the suggested supply list (see below) OR you can use the supplies Susan will bring! Susan has all the brushes, boards and palettes with paint to “rent” for $10. You just need paper towels, tape, and watercolor paper. Please contact the gallery at least one week in advance of the workshop if you would like to take advantage of this option. You’ll need to bring the $10 in cash or check directly to the instructor at the workshop. Or see the suggested supply list. Wear clothes you can get stained and bring a smile and a lunch! And be prepared to have a great time painting! Note: Susan has all the brushes, boards, and palettes with paint to use for $10. You will just need to bring the paper, paper towels, tape, pencil & kneaded eraser.